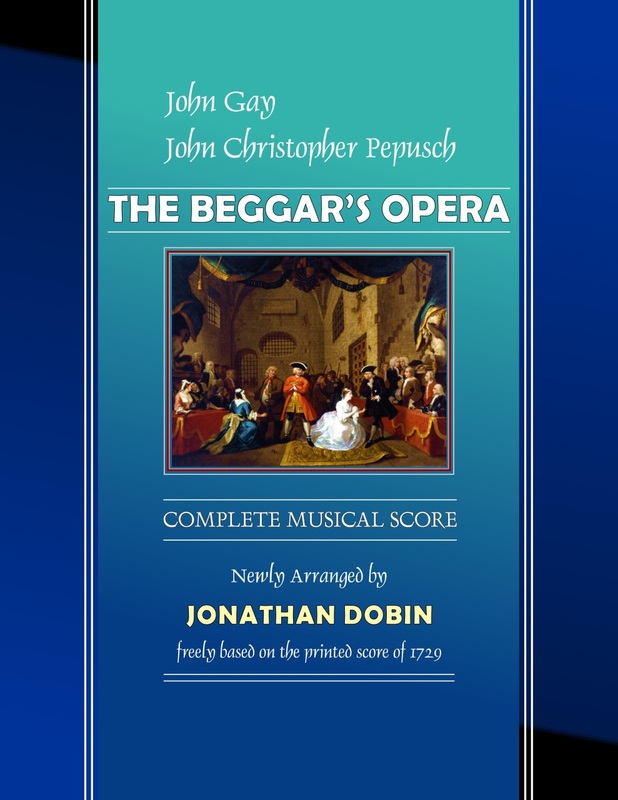 The Complete Musical Score of Jonathan Dobin's edition of "The Beggar's Opera" for study. 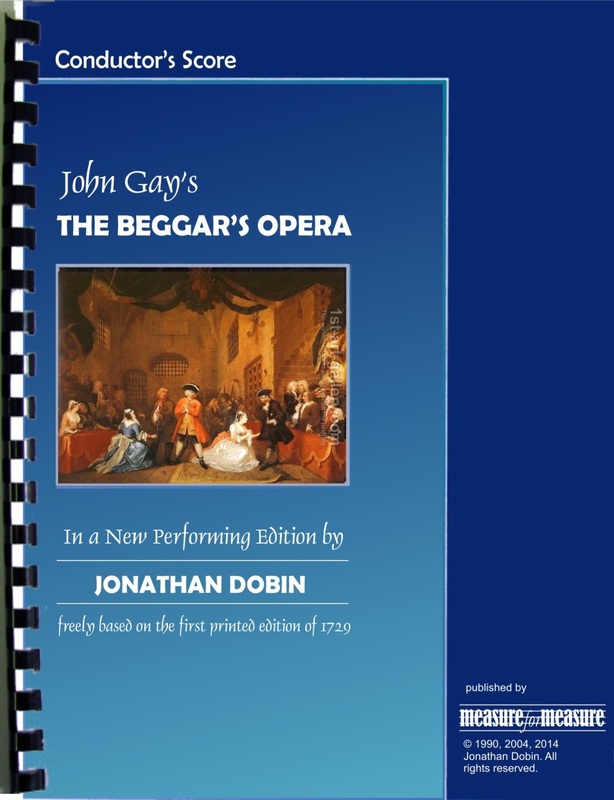 This is the realization of all the music, freely based on the skeletal score of 1729, but fleshed out to include obbligato instrumental parts, choruses and dances. As this score includes all the music only, it is necessary for it to be used in conjunction with an edition of the spoken play - as chosen by your production's director. 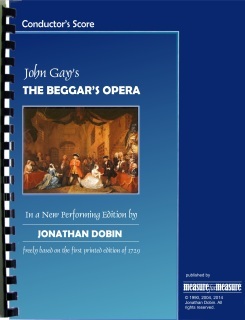 Piano Vocal Score of all the songs and dances to "The Beggar's Opera" in Jonathan Dobin's new performance edition. 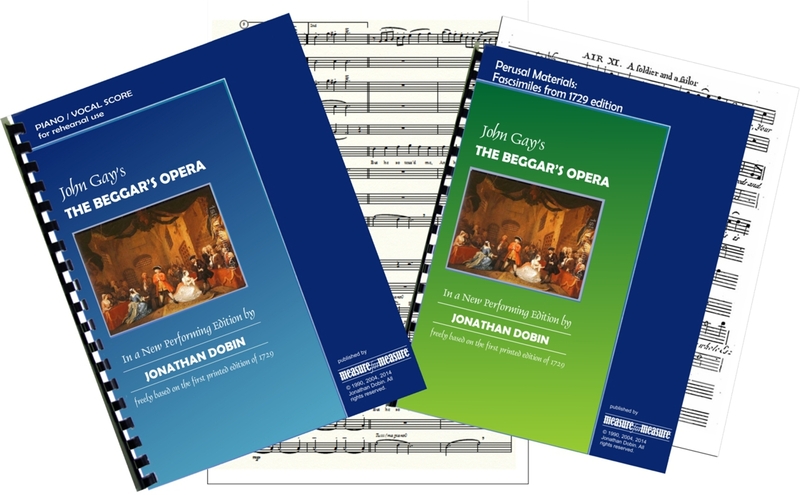 For rehearsal use in conjunction with the full score, or for recital use. 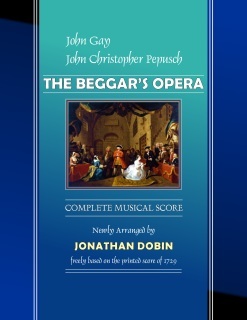 Jonathan Dobin's edition of "The Beggar's Opera"
Jonathan Dobin (c) 1990 - 20018.